Logic Commercial Real Estate, utilizing RealInsights Marketplace, has announced that it has closed the sale of Cheyenne Commons, a Walmart, Floor Décor and Ross anchored retail center. The 361,000-square-foot facility sold for $34.35 million. Logic Commercial Real Estate’s Brendan Keating , Adam Malan and Deana Marcello marketed the property on behalf of the seller, a special servicer. The asset was purchased by Pebb Enterprises Inc., a private family office based in South Florida. The property has recently received a $2.7-million renovation that included a new roof, exterior paint, awning repairs, updated lighting, parking lot repairs, landscaping repairs and updated pylon signs. Cheyenne Commons is 80 percent occupied, providing an attractive value-add opportunity for the buyer with over 70,000 square feet of available space for lease. Continental Realty Advisors bought The Onyx, a 63-unit community for $14 million. 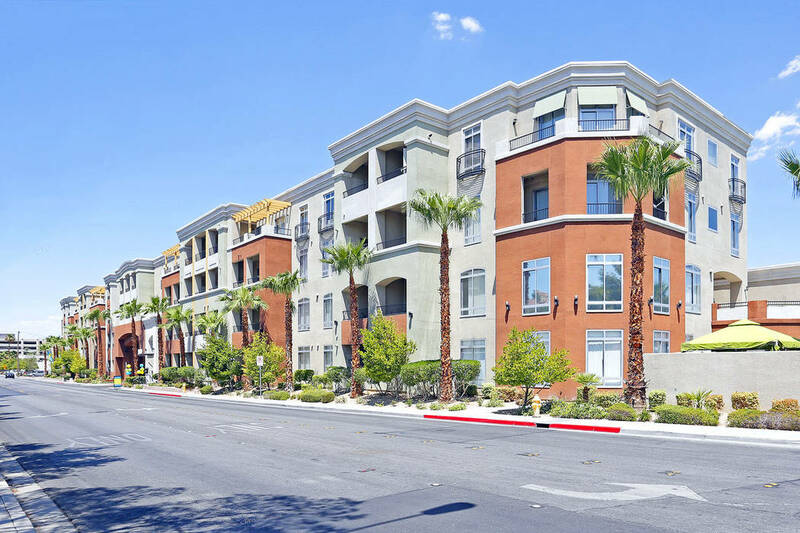 Next Wave acquired Harlow Apartments, a 98-unit multifamily property in Las Vegas. NAI Vegas, McCullough Jaynes Group has announced the sale of 611 Cape Horn Drive in Henderson, for $1,712,000. Logic Commercial Real Estate, utilizing RealInsights Marketplace, has announced that it has closed the sale of Cheyenne Commons, a Walmart, Floor & Décor and Ross anchored retail center. The 361,000-square-foot facility sold for $34.35 million. Logic Commercial Real Estate’s Brendan Keating, Adam Malan and Deana Marcello marketed the property on behalf of the seller, a special servicer. The asset was purchased by Pebb Enterprises Inc., a private family office based in South Florida. The property has recently received a $2.7 million renovation that included a new roof, exterior paint, awning repairs, updated lighting, parking lot repairs, landscaping repairs and updated pylon signs. Cheyenne Commons is 80 percent occupied, providing an attractive value-add opportunity for the buyer with over 70,000 square feet of available space for lease. Cheyenne Commons is a 361,000-square-foot Walmart, Floor & Décor and Ross anchored power center, developed in 1993 within a dense and mature northwest suburb of Las Vegas. The property is positioned at the southwest corner of Rainbow Boulevard and Cheyenne Avenue along the U.S. Highway 95. Settle Down ABA Inc. provides comprehensive in-home therapy and in-clinic Applied Behavior Analysis Therapy. The team has a staff of board-certified behavior analysts and registered behavior technicians. All Settle Down ABA employees have extensive education and training in the science of applied behavior analysis. The business is purchasing a new $1 million complex at 1060 Wigwam Parkway in Henderson with 40 percent funding from Nevada State Development Corp. and 50 percent of the funding from Pacific Premier Bank. The market for clients of Settle Down ABA are children and young adults between the ages of 2 and 24 diagnosed with Autism Spectrum Disorder. Behavior analysis focuses on the principles that explain how learning takes place. Positive reinforcement is one such principle. When a behavior is followed by some sort of reward, the behavior is more likely to be repeated. The field of behavior analysis has developed many techniques for increasing useful behaviors and reducing those that may cause harm or interfere with learning. Applied behavior analysis is the use of these techniques and principles to bring about meaningful and positive change in behavior. Settle Down ABA Inc has three clinic locations in Southern Nevada. Nevada State Development Corp. is a nonprofit company that is a SBA 504 loan provider in Nevada, with offices in Las Vegas and Reno. 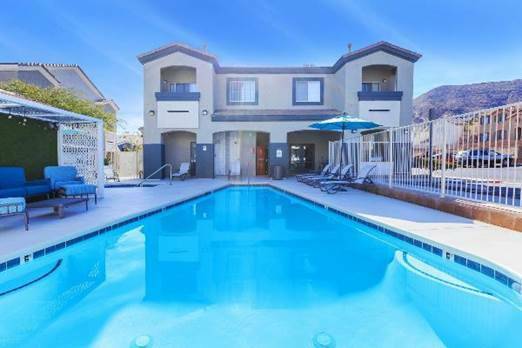 • Continental Realty Advisors Ltd., a Denver-based multifamily investment firm, has completed the acquisition of The Onyx, a 63-unit community in the Las Vegas Strip submarket. CRA purchased The Onyx from Copulos Group in March 2019 for $14 million or $222,000 per unit. The company plans to modernize the unit interiors at The Onyx and complete extensive renovations to the common areas. The Onyx features modern lifestyle amenities typical of much larger communities, including a club room, resident lounge, fitness center and leasing center. Residents can enjoy year-round access to the swimming pool with a spa and sun deck, as well as an outdoor grilling area. The property includes 130 secured-access parking spaces in a multilevel structure and the four-story building is served by elevators. All units have kitchens with stainless steel appliances and granite countertops, washer/dryers and patio/balconies. Bedrooms feature walk-in closets, ceiling fans and 10-foot ceilings. • Next Wave Investors LLC “Next Wave” has acquired two multifamily properties in Nevada and Utah totaling 188 units. The properties include Harlow Apartments, a 98-unit Class A multifamily community in Las Vegas, and Aspen Village Apartments, a 90-unit multifamily community in West Valley City, Utah. Fisher notes that both properties enable Next Wave Investors to leverage the firm’s existing presence in each market, creating new economies of scale and further streamlining the firm’s management of assets in Las Vegas and Salt Lake City. The Las Vegas property, Harlow Luxury Apartments, is at 10620 W. Alexander Road, and features units that average 1,061 square feet. It is a resort-style, Class A multifamily community, built to condo specifications and more than 95 percent occupied. Unit amenities include walk-in closets, USB ports, vinyl plank flooring, 9-foot ceilings and a smart technology package that is planned to include Alexa devices, Nest thermostats, lighting and locks, as well as the smart apartment Dwelo app. • A sale to Executive Brass LLC. The approximately 5-acre land parcel is on Executive Airport Drive and East Dale Avenue (APN: 191-10-701-005) in Henderson. The transaction value was $2,080,000. Dan Doherty, SIOR; Paul Sweetland, SIOR; Chris Lane, CCIM; and Jerry Doty of Colliers International represented the buyer. • NAI Vegas, McCullough Jaynes Group has announced the sale of 611 Cape Horn Drive in Henderson, which traded for $1,712,000. Ryan McCullough and Tyler Jaynes were exclusively retained to represent the seller of the two-story, 12,300-square-foot Industrial building. The property is in southeast Henderson. • Kitchen Cabinet Discounters signed a 63-month lease for 3,795 square feet of office space at 4955 S. Durango Drive, Suite 108-111. Matt Feustel of Virtus Commercial represented the lessor, Wardy Amen III & Traci A, in the transaction. 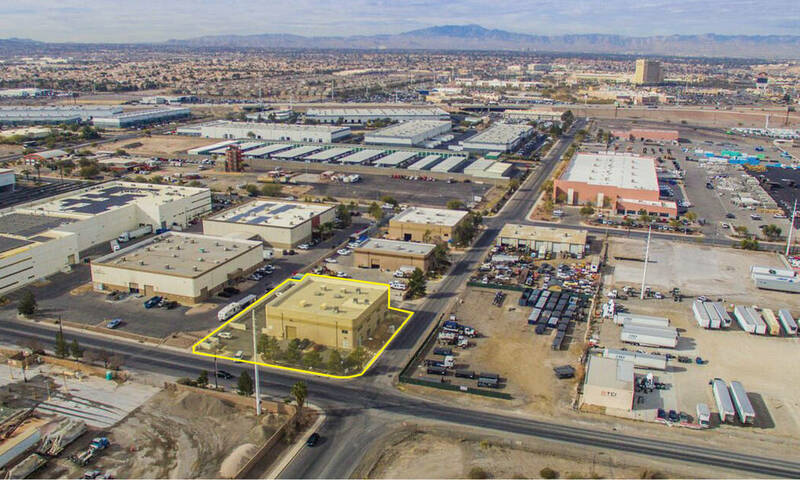 • MacStadium Inc. signed a 36-month lease for 1,560 square feet of office space at 7235 Bermuda Road, Suite A. Matt Feustel of Virtus Commercial represented the lessor, Bermuda Vegas Investment LLC, in the transaction. • Graciela Cuevas Carrillo signed a 36-month lease for 1.22 acres of land at 3563 Procyon St. Brett S. Beck of Virtus Commercial represented the lessee and lessor, 3500-3675 Procyon LLC, in the transaction. • T-Square Consulting Engineers LLC signed a 36-month lease for 1,560 square feet of office space at 7235 Bermuda Road, Suite G. Matt Feustel of Virtus Commercial represented the lessor, Bermuda Vegas Investment LLC, in the transaction. • Blew Berrie Inc. signed a 62-month lease for 2,091 square feet of office space at 1785 E. Sahara Ave., Suite 150. Gary S. Beck of Virtus Commercial represented the lessor, The 1785 Office Center LLC; and Troy Alexander of TR Realty represented the lessee in the transaction. • Joyful Hearts Behavioral Healthcare Services signed a 60-month lease for 800 square feet of office space at 3925 N. Martin L. King Blvd., Suite 122, in North Las Vegas. Brett S. Beck of Virtus Commercial represented the lessee and the lessor, HCP Properties LLC, in the transaction. • Simply Divine Botanicals, LLC signed a 61-month lease for 1,560 square feet of office space at 7235 Bermuda Road, Suite C. Matt Feustel of Virtus Commercial represented the lessor, Bermuda Vegas Investment LLC; and Tina Rogers of First Real Estate Cos. represented the lessee in the transaction. • Trashawnda Seals signed a 60-month lease for 630 square feet of office space at 3925 N. Martin L. King Blvd., Suite 202, in North Las Vegas. Brett Beck II of Virtus Commercial represented the lessee and the lessor, HCP Properties LLC, in the transaction. • Eternity Health Wellness Center LLC signed a 60-month lease for 740 square feet of office space at 3925 N. Martin L. King Blvd., Suite 115-116, in North Las Vegas. Brett Beck II of Virtus Commercial represented the lessee and the lessor, HCP Properties LLC, in the transaction. • Big Horn Law expanded and renewed 3,505 square feet of retail space for 65 months at Stewart Square at 235 N. Eastern Ave., Suite 102/105. Chris Emanuel of Virtus Commercial represented the lessor, The Miller Trust dated 11/30/1999; CARE Holdings LLC and LMGP 1, LLC, in the transaction. • East India Co. dba Mantra Masala renewed 3,000 square feet of retail space for 14 months at Durango Springs Plaza at 8530 W. Warm Springs Road, Suite 101. Chris Emanuel of Virtus Commercial represented the lessor, Amen and Traci Wardy, in the transaction. • Steven E. Grant, O.D. renewed 2,010 square feet of office space for 36 months at Horizon Village Square at 70 E. Horizon Ridge Parkway, Suite 160. Chris Emanuel of Virtus Commercial represented the lessor, HVS Partners, in the transaction. • Yuzu Restaurant renewed 1,369 square feet of retail space for 12 months at Silverado Auto Plaza at 1310 E. Silverado Ranch Blvd., Suite 105. Chris Emanuel of Virtus Commercial represented the lessor, Amen and Traci Wardy, in the transaction. • Edward D. Jones & Co. renewed 960 square feet of retail space for 63 months at Tenaya Village at 7240 W. Azure Drive, Suite 135. Chris Emanuel of Virtus Commercial represented the lessor, Tenaya Village LLC; and Stephanie Slavens of Cushman & Wakefield represented the lessee in the transaction. • A lease to Quality A/C Service LLC. The approximately 12,600-square-foot industrial property is in Arrowhead Commerce Center (Bldg. 12) at 6175 S. Sandhill Road, Suite 1100. Spencer Pinter; Dan Doherty, SIOR; Paul Sweetland, SIOR; Chris Lane, CCIM; and Jerry Doty of Colliers International represented the lessor, KTR LV IV LLC. • A lease to Performance Contracting Inc. The approximately 12,325-square-foot industrial property is at 6225 Annie Oakley Drive. Dean Willmore, SIOR; Alex Stanisic; and Mike Willmore of Colliers International represented the lessor, Sino-Science North America Photobiotech Inc.
• A lease to JTL International Inc. The approximately 5,284-square-foot industrial property is in Arroyo South Business Center (Phase I) at 7200 W. Warm Springs Road, Suite 140. Spencer Pinter of Colliers International represented the lessor, EJM Arroyo South I Property LLC. • A lease to Veranda Services Co. LLC. The approximately 3,876-square-foot industrial property is in Patrick Airport Center at 2700 E. Patrick Lane, Suite 9-10. Dean Willmore, SIOR; Alex Stanisic; and Mike Willmore of Colliers International represented the lessor, BKM MAC 228 LLC. • A lease to Enayat Endocrinology & Metabolism PLLC. The approximately 1,846-square-foot medical office property is in Summerlin Hospital MOB III at 10105 Banburry Cross Drive, Suite 130. Alexia Crowley, CCIM, of Colliers International represented the lessee. • A lease to Antioch Community Services Inc. The approximately 1,805-square-foot retail property is in Aliante Marketplace at 6935 Aliante Parkway, No. 109, in North Las Vegas. David Grant of Colliers International represented the lessor, Aliante Plaza LLC. • A lease to Eyebrows R Us. The approximately 1,190-square-foot retail property is in Green Valley Town and Country at 2837 N. Green Valley Parkway in Henderson. Scot Marker of Colliers International represented the lessor, Contstanino Noval LLC. • Epic Inc. leased approximately 5,284 square feet of industrial space in Harmon Warehouse Center at 4301 S. Valley View Blvd. Zac Zaher of CBRE represented the landlord.